January was an unusually sad month in celebrity news, with many beloved entertainers passing away. And while their deaths were often the talk of social media, the amount of buzz varied channel by channel, according to Facebook IQ. 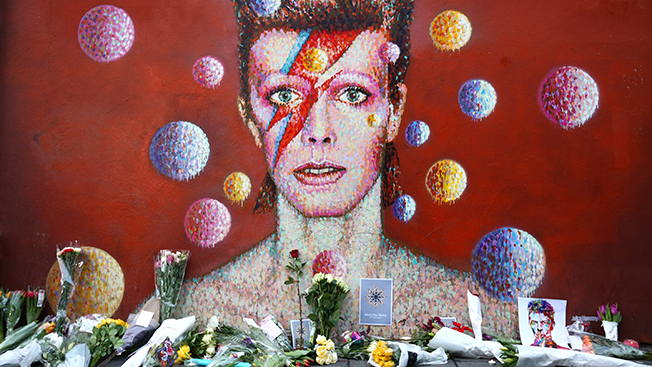 For instance, David Bowie's death was among the buzziest developments in January on Facebook, but it didn't rank nearly as highly on Instagram. Considering The Thin White Duke's often colorful appeal, it's surprising that his passing wasn't white-hot on the image-friendly Instagram. Though that discrepancy probably has to do with the fact that Facebook IQ's data only pulls text mentions of brands such as Bowie. Its analysis doesn't include images of celebrities and companies. So, Bowie fans may have simply posted photos on Instagram of the icon without text descriptions, whereas Facebook users were probably sure to add comments to their images. Conversely, jazz legend Natalie Cole's death was a huge deal on Instagram, but it didn't have a big impact on Facebook. Therefore, her Instagram followers seemed to faithfully add comments to their pics. Meanwhile, actor Alan Rickman's passing registered highly on both platforms—his fans appear to be of verbose ilk, indeed. But those were just a few of the things we learned from Facebook and Instagram Hot Topics, a series given exclusively to Adweek each month. Facebook's IQ division creates a U.S.-based data visualization that lets marketers see what digital conversations they may have missed last month and how they might generate more engagement of their own. Other January takeaways include the fact that college football games were bigger on Instagram, whereas the NFL ruled the day on Facebook. Holidays and cultural phenomena such as the Powerball also created major blips on the screen via both channels. A few dozen other subjects also struck a chord with Americans. Check them out below by clicking on the image to view a full-size breakdown of how Facebook and Instagram chatter played out in terms of demographics and timing.